The Vostroyan Nobles are a noble regiment made of the firstborn children of the Vostroyan nobility, sent to pay a debt to the Emperor dating back to the Horus Heresy, which has, over the years, shifted from an obligation to a point of pride. 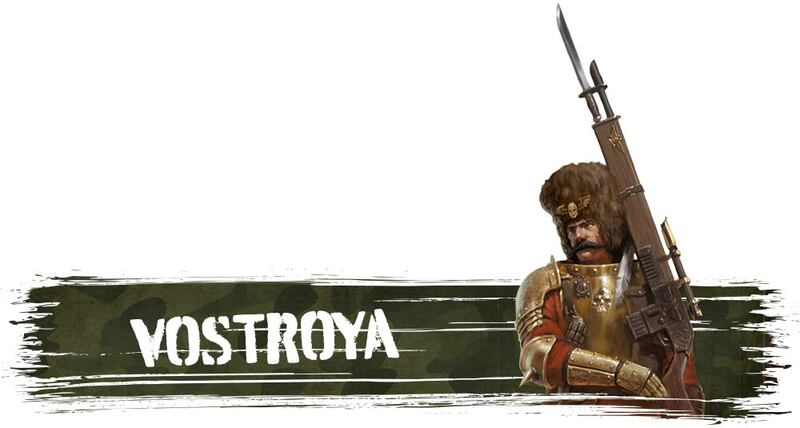 The Vostroyan Firstborn are Imperial Guard Regiments. Vostroya is a world in the Halo Zone beyond the Eye of Terror, which swore allegiance to Mars during the Age of Strife. It is now ruled by a committee of Techtriarchs, a mix of Mechanicus Magi and more traditional Imperial planetary government. During the Horus Heresy, Vostroya refused to provide regiments to the Emperor, preferring instead to reserve the population in the manufactoria blanketing the world. After the Heresy, the Vostroyans, out of guilt, agreed to supply every family’s firstborn child to service with the Imperial Guard. As a result, the Vostroyan Firstborn have a steady supply of fresh recruits, and as such are one of the few regiments to exist utterly unbroken since their founding. Which means that every child destined to join their ranks gets access to the best training nobility can buy. And now your money can buy them–for a limited time only in the next few days. On Christmas Day, a new wave of Made to Order miniatures will appear – and they’re dressed in red and wearing big hats. What could be more appropriate for the day? 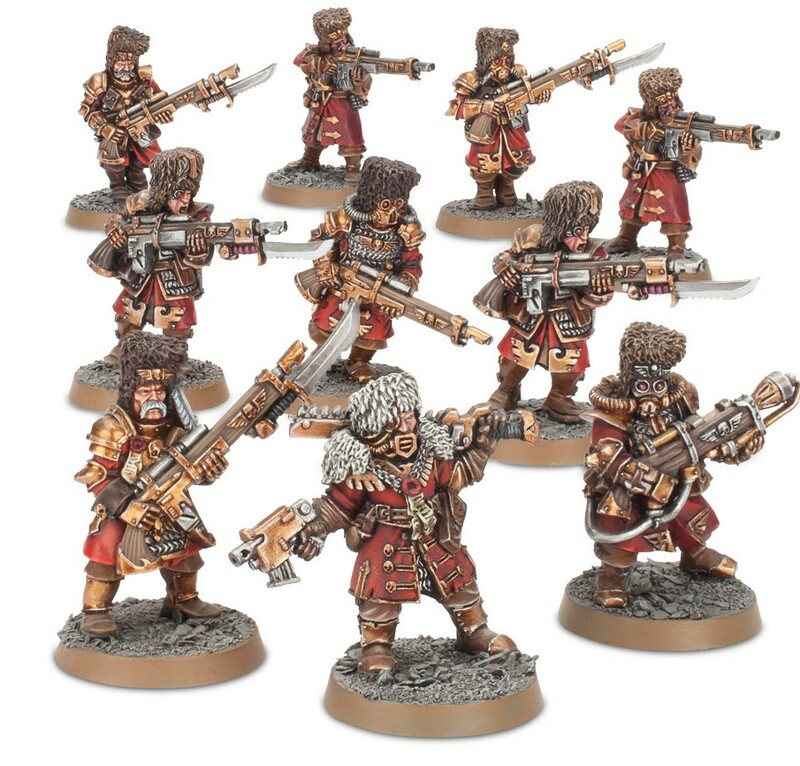 They are, of course, the classic Vostroyan Firstborn Astra Militarum miniatures, and a whole range of them will be available for one week only. These models will be perfect for creating a force of elite Astra Militarum to add to an existing Imperial army, or as the start of a new collection. 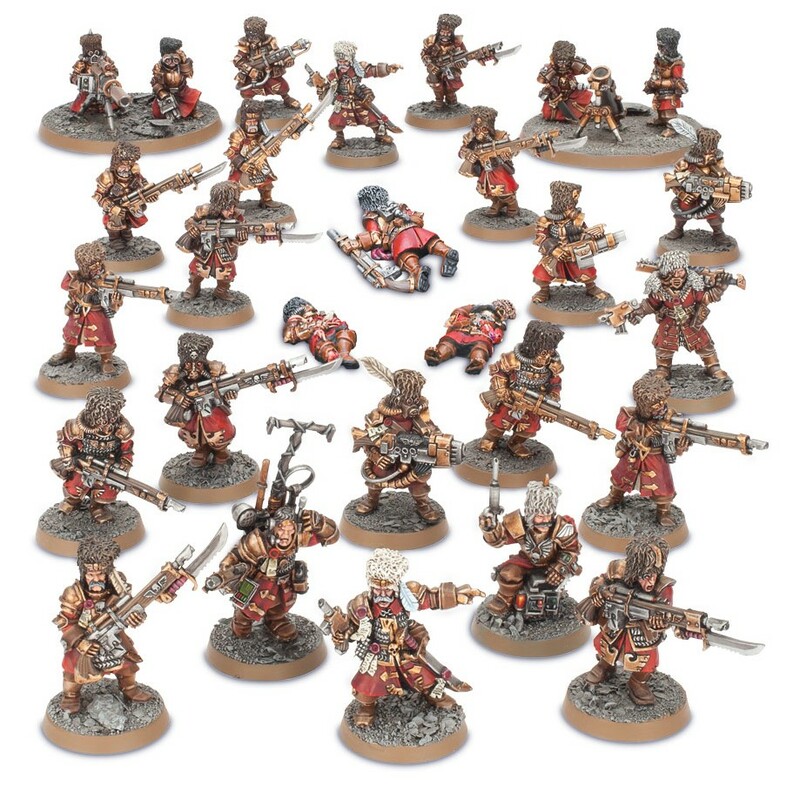 You could use them as veterans alongside plastic Cadians as your line troops, or maybe create a small Detachment to accompany Inquisitor Greyfax or Eisenhorn into battle. However you choose to use them, you’ll only be able to order them for one week, so don’t miss your chance! Winter is the season of the Vostroyan, after all.